Harley Sundown has been in Scammon Bay is whole life. He was born and raised in the Western Alaska village and probably will be buried there. The 51-year-old basketball coach has worked with kids in Scammon Bay for half his life and never before could he remember when the boys and girls hoops teams combined for a 43-1 record. The boys are 24-0 and ranked third in Class 1A. The girls are 19-1 and ranked fifth. 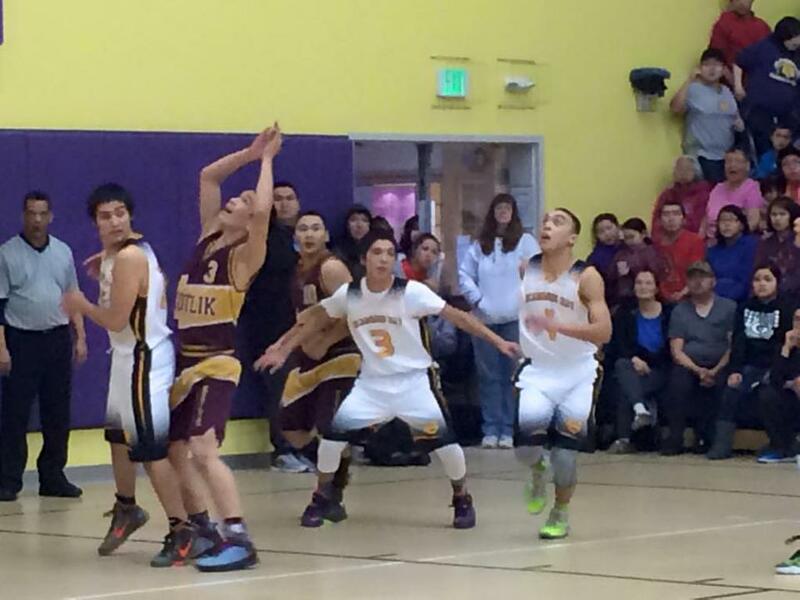 Both teams qualified for the ASAA State Tournament, starting this weekend in Anchorage. Sundown coaches the boys team and his son Herschel coaches the girls. Scammon Bay is one of five 1A schools to qualify its boys and girls teams to the state tournament. The others are Nikolaevsk, Newhalen, Manokotak and Teller. The Scammon Bay boys are one of only two undefeated teams in Alaska, joining the 4A West Valley girls [23-0] in the unbeaten club. It’s a great sense of pride for Sundown, who led the Eagles to the 2012 state championship game when Scammon Bay was at the 2A level. They finished fourth in 2011. Scammon Bay has since been moved to 1A after ASAA realigned the statewide classifications, but Sundown didn’t walk away from the 2A ranks empty handed. “I learned the hard way a number of years ago when we were 2A. We were fortunate enough, or unfortunate enough, to attend the 2A tournament up at Point Hope. Those northern teams kicked our butts,” Sundown said with a laugh. Sundown brought college coaches to Scammon Bay, including current UAA coach Rusty Osborne and former UAA coach Charlie Bruns, to teach the kids fundamentals and work on player development. Scammon Bay qualified the boys and girls basketball teams to state for the first time last year. Now they’ve done it twice. Sundown’s son Herschel is a product of Scammon Bay. After graduating high school he went on to play a season of college basketball at Peninsula in Washington. Then he came back home to share his understanding and love of the game. Van Williams is a freelance writer in Anchorage and a correspondent for the Alaska Activities School Association.